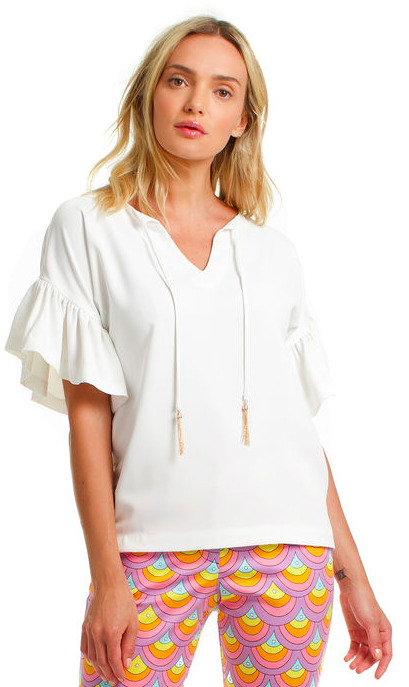 The Bay Point Top in Carmel Crepe is a work attire staple. 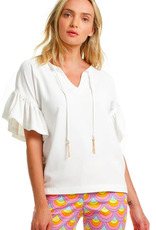 It has flattering ruffle bell sleeves and optional tie with tassels along the v-neckline. Always a wise addition to your wardrobe.